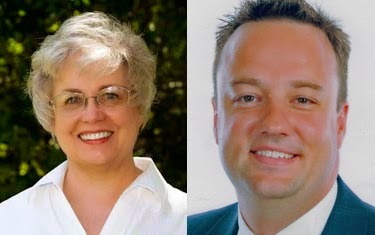 Join us this Wednesday AND Friday for two exciting genealogy webinars presented by Karen Clifford and Geoff Rasmussen. On Wednesday Karen will present "Researching with Karen!" and on Friday Geoff will present "Genealogy Serendipity: Listening for our Ancestors." Join Geoff Rasmussen as he recounts personal experiences of genealogy serendipity in cemeteries, libraries, mailboxes and elsewhere. Webinar Reminder: Join us for the live webinars Wednesday, March 4, 2015 at 2:00pm Eastern U.S. and Friday, March 6, 2015, at 2:00pm Eastern U.S. Register today to reserve your virtual seat. Registration is free but space is limited to the first 1,000 people to join that day. Before joining, please visit www.java.com to ensure you have the latest version of Java which our webinar software requires. When you join, if you receive a message that the webinar is full, you know we've reached the 1,000 limit, so we invite you to view the recording which should be published to the webinar archives within an hour or two of the event's conclusion.